Caviar: One of the top 12 super-foods available. – A small and customer orientated Caviar & Luxury food company based in London. 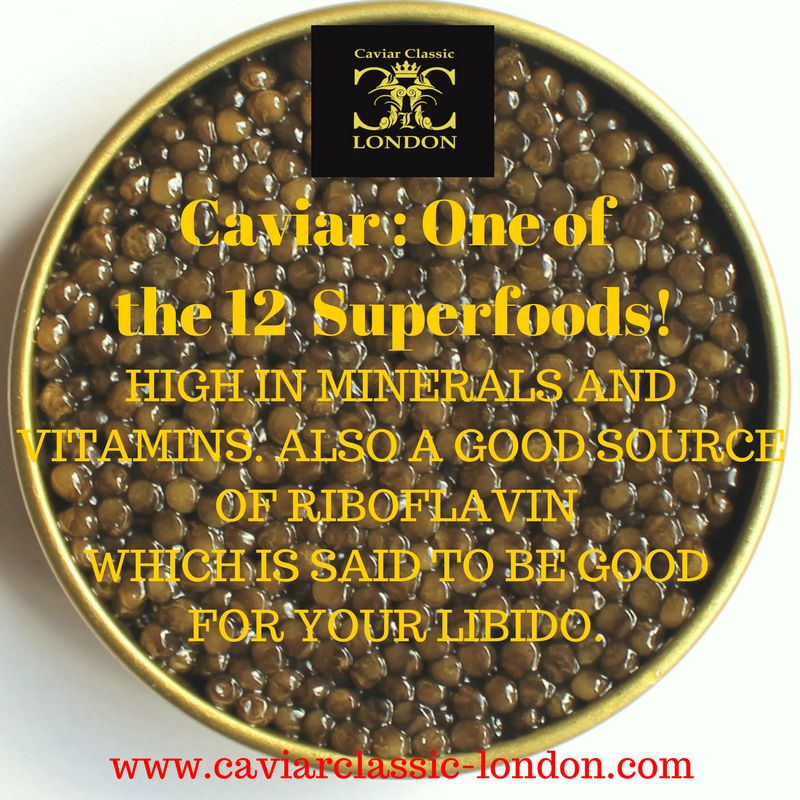 Caviar: One of the top 12 super-foods available. Once reserved only for Royalty and the elite caviar was a forbidden food for many years. It was also used for medical and health purposes. Now it’s available for everyone and more and more people are discovering all the good that is hidden in those small pearls of pure protein. Not only is it full of vitamins and minerals, it’s also believed that it’s good for the brain and other parts of the body. High in Omega-3, Vitamin-B6/B12, A, D,Calcium and Iron and magnesium. But also Riboflavin, which is meant to be good against migraines and great for your libido. The Chinese and Persians used it as an aphrodisiac for centuries. Now it’s looked upon as one of the 12 natural super-foods available.So even more reason to share it with someone you love, with a glass of chilled Champagne.